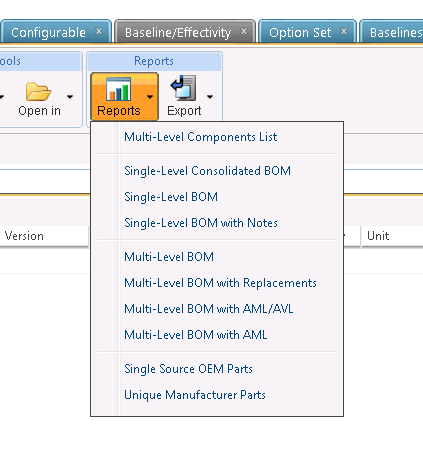 Create some extra multilevel BOM reports. The idea did not contain any concepts. In 10.2 M030 however you can extend the Report pulldown to add additional Query Builder and Cognos reports via configuration.